My friend recently bought Micromax A119 Canvas XL and asked me to root it for him, I googled about the chipset and found that it is MediaTek MT6582 and I was ready to root the device because I knew that it can be rooted by using Framaroot Application. The rooting was easy and I also built CWM recovery for him. After rooting his device I thought of making a guide on rooting micromax a119 canvas xl. The guide is really very simple and doesn't require any kind of skills. Even a noob can perform this guide easily. Requirements are just simple things like an application, mobile phone and no computer so users that don't have computers and laptops at their homes can also perform these steps. The device is very big and has decent specifications, but what's the need to root it? I am sure you are thinking this on your mind but let me tell you that there are some things that you won't get in simple device which is not rooted like Xposed Module, Root Explorer, MobileUncle MTK Tools and other tools which can customise your mobile phone. I installed my own made Carliv Touch recovery in it and tried many zips like Init.d enabler, Xposed uninstaller and etc. zips to check if it was working or not. Framaroot 1.6.1 APK: Get it from Framaroot's official thread which is available on XDA-Developers.com. 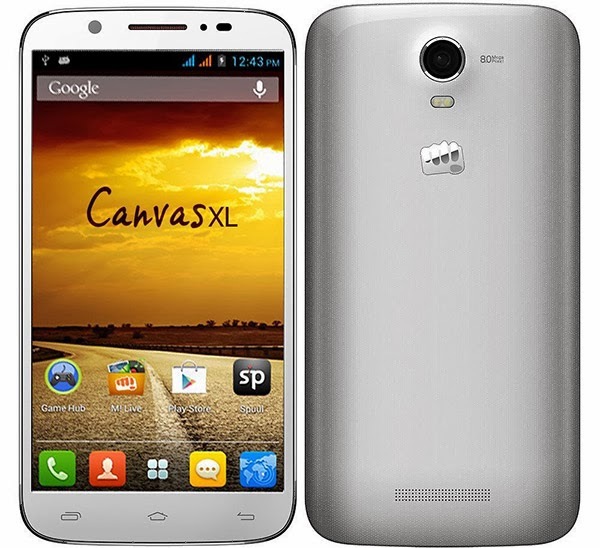 Micromax A119 Canvas XL with USB Debugging Enabled: Go to About phone in Settings and tap 7 times on Build Number. After tapping 7 times you will see a popup that you are a developer now! Go back and there will be a new option named "Developer options" in Settings application. Open it and enable it. Enable USB Debugging too. Micromax A119 Canvas XL charged upt to 70% for performing this guide. Framaroot APK: Get it from Official Framaroot Thread: Click HERE. Enable USB Debugging (see how to do it in Requirements). Download Framroot Application on your mobile phone. If you are installing application like this on mobile phone, then move it to your SD Card, tap on it and you will see a warning, accept the warning and install the application on your XL. Close all the applications and save your works because we will need to reboot it after some seconds. Now, open Framaroot Application from your application drawer when everything is closed. Click on Boromir exploit to root your Micromax A119 Canvas XL. You will see Success :-) ... Superuser and su binary installed. You have to reboot your device message in a new popup from that application. IF you didn't see that messaage then you have installed any other version of that application. If you are still not sure that the device is rooted or not then try any free applications like Root Checker which can be downloaded free from Google Play Store. Watch this video made by me on how to root Micromax A119 Canvas XL on YouTube for pictorial guide to enable USB Debugging etc. If you are having any problems related to the rooting tutorial or anything that shoot a comment here for help! We always reply to you.